This month’s featured product is our Small Tub Range. Enquire with our team for further product information or to visit our Auckland Showroom. Our Small Tub Range are ideal for storage and transport. All our Small Tub Range are made in New Zealand from durable food grade polypropylene. And come with a secure tamper-evident lid. 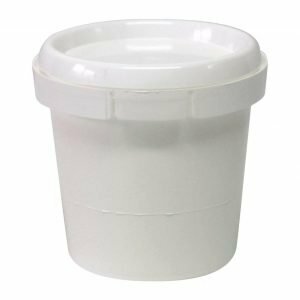 Perfect for storing small quantities of food ingredients and other commercial goods, this 250ml round tub is made from sturdy food grade polypropylene. The tub comes complete with a tamper evident lid, insuring the goods contained within are secure. The product is totally recyclable at the products life end. If you would like any more information on this item please contact our team. 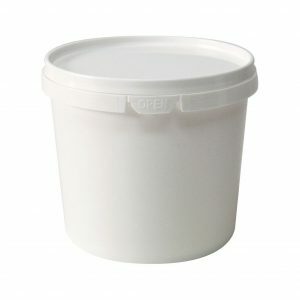 Store small volumes of food ingredients and other commercial products in these handy 500ml plastic tubs. The tubs are manufactured using high quality food grade polypropylene. They come complete with a sturdy tamper-evident lid, keeping contained good secure. These handy 1.1L round plastic tubs are ideal for storing small volumes of food, ingredients and other commercial products. The tubs are made in New Zealand from sturdy food grade polypropylene, and come complete with a secure tamper-evident lid. Also available in clear plastic. 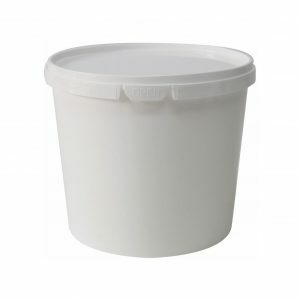 Perfect for use in the food industry, these 2.2L round plastic tubs can be used to store ingredients and other goods in a variety of workplace settings. 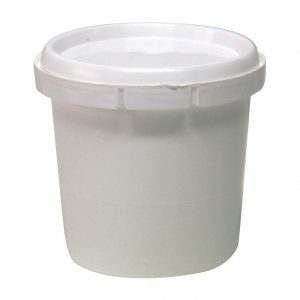 Tubs are made in New Zealand from durable food grade polypropylene and come with a secure tamper-evident lid. The 2.2L tub is also available in clear. The IFP Group Small Tub Range is 100% Recyclable. For further information about our featured products, get in touch with IFP Group using our online contact form below or call our office at 09 636 9193. You can also visit our office and Showroom in Penrose if you would like a demo of our products. Feel free to also use our customer support chat service in the bottom right corner of your screen. Follow us on Facebook and Google My Business for our latest products and NZ Manufacturing updates. Also read about How IFP Group Can Meet Your Practical and Budget Requirements.